Punjab was centrally exposed to the wrath of world’s biggest migration and massacre called the Partition. Many celebrated it as independence, but Punjabi’s always remember it as a scar on their heart and soul. Punjab’s soil is not only fertile for grains, but for a lot of stories, which still need to be explored. Saadat Hasan Manto was one such storyteller who explored numerous tragic stories based on Partition, which leave the reader numb. On similar lines, Lahoriye is a well-enacted uplifting film that has substance, as well as entertainment. Kikar Singh (Amrinder Gill) is a clerk in a district transport office in the Fazilka district of Punjab. One day he reluctantly goes to plow his family contracted land between barbed walls within the Indian Territory at the Indo-Pak border. His life goes upside down when he catches a glimpse of Ameeran (Sargun Mehta) working in a fruit orchid across the border, just a stone's throw away. He isn't able to take his gaze off her and instantly falls in love. This becomes a routine fair before one fine day Kikar decides to go to Lahore to meet his fate and fulfill his grandfather’s last wish. 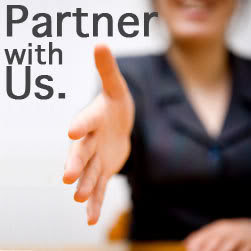 Whether he succeeds in finding the love of his life and is able to fulfill that last wish forms the rest of the story. As a screenwriter Amberdeep has come a long way, with Lahoriye, he goes one level up. He has chosen the best script for his debut as a director. Lahoriye starts with a backstory from the days of Partition. Punjabis are running across the newly marked border line with their dire needed belongings loaded on their heads to save their lives from their own brethren of other religion. From here, film jumps into contemporary Punjab full of colors and life, where Kikkar’s grandfather is the only contrast from the remains of the past. Whole family, including his Son Harbans Singh (Sardar Sohi) and grandsons Kikkar and Bikkar (Balwinder Bullet), wants to renovate the glorious Haveli into a modern Kothi. This contrast perfectly depicts the irony of modern Punjab, where earlier land was a mother now a commodity. But this is not the dominating theme of the film. Lahoriye, riding on a rare love story, tries to tap into the forbidden territory of unity, brotherhood and age-old cultural ties. Without digging deep into political, religious or diplomatic contradictions Lahoriye perfectly marks down the things, which are more subtle obstacles between man-to-man connections than the barbed wires. At an important intersection of the film, two politicians (played by Guggu Gill and Hobby Dhaliwal) from both the sides vow to give up their political ambitions to unite the lovebirds. Inter-exchange of the ways of greetings, Sikhs say Adaab and Muslims Sat Shri Akal to each other, is another subtle depiction of coexistence and tolerance. Another important sub-theme of Lahoriye is the manly bias against women. An Indian guy choosing a Pakistani girl is okay with the patriarchal Kikkar as well as his uncle, but if his own cousin Harleen (Nimrat Khaira) chooses a Pakistani guy for herself, both can not stand it. At this very moment, Kikker even forgets that it was Harleen who stood like a man for him when he had a little hope to get her father’s necessary approval to marry a girl living across the border and from the other religion. Further, Ameeran’s refusal to marry Kikkar for his stance about Harleen’s choice adds another dimension that how a woman could stand for a woman and against patriarchy irrespective of their belief and nationality. Thus, Lahoriye not only stands just for brotherhood across the border, it powerfully supports the sisterhood too. With Lahoriye, Amberdeep proves that he can handle the scripts not only on papers but on screen too. His opening black and white scenes have an archival as well as nostalgic look and set the sublime tone of the movie. Instead of going to the realistic brutality like Manoj Punj’s Shaheed-e-Mohabbat Boota Singh, Amberdeep sticks to the nostalgic presentation of a man longing for his roots left behind in the land of his forefathers. The opening and climax both are the strongest parts of the film. However, Lahoriye is not picture perfect. 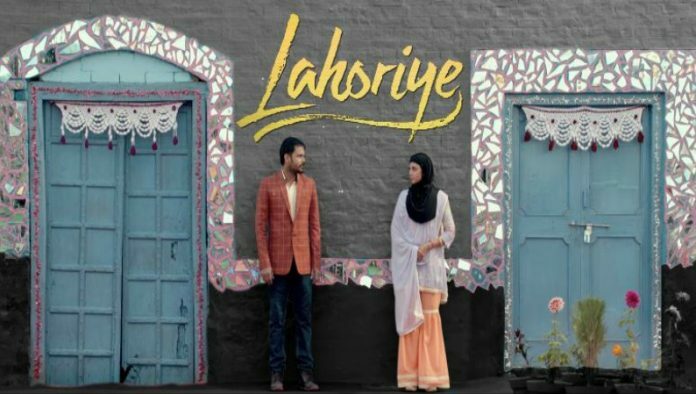 After an emotional and engaging opening from the past to the blossoming exciting love story, Lahoriye starts dipping in the middle of the first half, thus leaving the interval sequence less impactful. Similarly, the entire portion from mehandi to pre-climax seems dull and dragging, but ends with a power packed climax as a saving grace. After losing the evergreen on screen couple, Varinder and Preety Sapru, in the clutches of the dark days of Punjab (Varinder being killed on sets by terrorist) the new era of Punjabi cinema could not produce one such couple in more than a decade, which could be the brand ambassadors of its own cinema. Paired together in the trendsetting Angrez and the blockbuster Love Punjab, Amrinder Gill and Sargun Mehta, is one such emerging on-screen couple which could take that legacy forward. Both are seen as a new trend in Punjabi cinema. No doubt that third time in a row (just in three years), as Ameeran in Lahoriye, Sargun Mehta once again has proved that she is here to stay. Singer turned actor Amrinder Gill, who tasted the success on the big screen after a huge struggle, is working hard on acting skills and is now trying to get roles suitable for him apart from choosing the right team to work with. Teaming up with Amberdeep (who launched his own production house with Lahoriye) has been fruitful for him, while Amberdeep too has got the full freedom to explore his potential. In Lahoriye as Kikkar Singh Amrinder looks natural and his charm will win him applause. Apart from his proven track record in writing and now a good start in direction, Amberdeep shines as an actor too as Tufiq, which is his best act till now. Debutante Nimrat Khaira (another singer trying her luck in acting) looks promising in her brief role. Another surprise of Lahoriye is Navraj Hans as Nazeeb Khan, who perhaps for the first time gets a role, which really suits him. All the supporting cast is perfectly okay. With Lahoriye, after a long gap, Jatinder Shah bounces back with a collectible music album. Melodious (for a change, not a Bhangra beat) ‘Akhar’ is topping the charts across the globe. Songs Gutt Ch Lahore and Paani Raavi De, marking young poet Harmanjeet’s debut as lyricist, boasts of rich Punjabi vocabulary and cultural flavor along with good lyrical value. Harman should concentrate more on the lyrics than poetry because his poetry has dominantly more lyrical value than subtlety. Having a quiver overflowing with medieval vocabulary induced with fragrance of culture, Harman has a potential to make a mark as a lyricist. Tariq Umar Khan’s production design is top notch. He has left no stone unturned to make this Indo-Pak drama looks real and relatable. Subodh Srivastav’s costumes are a perfect fit and Sandeep Patil captures the right tone and essence through his black and white as well as vivid shots. Sadik Ali Shaikh’s editing gives the film a perfect look; especially his placement of inter-cuts of past and present at the climax enhances the excitement and impact. Yet he left the wide scope of a crispier editing untapped, at various junctures. Lahoriye reminds you about the past and its relevance in present without following the ongoing trend of taking you on the nostalgic journey of retro Punjab. It is an appropriate example of a film successfully trying to strike the balance between entertainment and being meaningful.